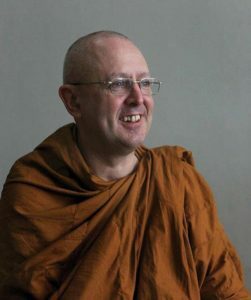 Many monks live in caves and get all their food given to them, so aren’t they just homeless scroungers? And they always wear the same robes like they’re stuck in the 1700s. Can’t they get off their arses and go shopping once in a while? Yes, Buddhist monks spend a lot of the day simply sitting down and meditating. But you may not know that they get up around 4am to be able to do that. Their mornings are spent working hard, completing necessary tasks and chores (like sweeping out their cave or helping to build a monastery), in order to give themselves a good long stretch of time to meditate. Motivation Lesson: Do what you need to do first, so you can get on with doing what really matters without unfinished tasks hanging over you. If getting up when everyone else is still snuggled up in bed isn’t disciplined enough for you, then maybe the long list of vows they adhere to will convince you. Depending on the school of Buddhism, ordained monks and nuns must follow up to 354 vows. And some of them ain’t easy to keep. Most monks aren’t allowed to to eat after noon, handle money, or even sleep in comfy beds. Buddhists build in vows not to punish themselves, but to keep themselves focused on their goal of spiritual enlightenment. Motivation Lesson: Whatever your goal is, set down some serious ground rules to help you stay focused on what’s truly important. 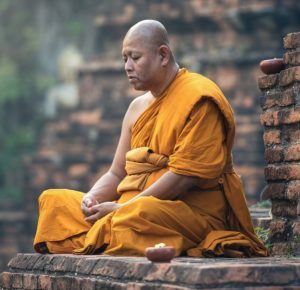 It’s true that most monks only own one robe, and they eat whatever is donated to them by the people they teach as a form of payment for sharing their knowledge. Monks don’t waste time deciding what to wear in the morning, or fretting over what to have for lunch. Keeping things simple allows them to save their time and energy to devote to more important things. Motivation Lesson: Giving yourself fewer choices saves you time and energy. See what unnecessary and time-consuming decisions you can cut out of your day so you can devote more time and focus to your goals. Buddhists live by the law of Karma, which put simply, means they are always concerned with the consequences of their actions. If you’re a Buddhist monk, you know that breaking vows might get you kicked out of the monastery and harm your spiritual efforts. So, monks and nuns pay utmost attention to the laws of cause and effect. Motivation Lesson: Always bear in mind how your behaviours and choices either keep you on the right track or lead you away from your goals. If you’re doing something that you know will seriously undermine your ambitions, stop it. Many people believe that multi-tasking is the ultimate way of achieving a lot in a short space of time. But science has actually proved that to be untrue. 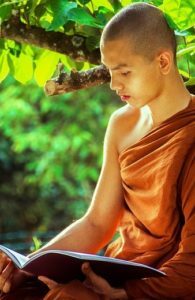 Buddhist monks do something called “One-Mindedness”, which means focusing on whatever task they are doing right now and giving it their all. When they eat, they savour every favour. When they read, every word is sacred When they work, they don’t complain or daydream, they just get the job done to their best of their ability. Motivation Lesson: Focus on doing one thing really well at a time. Give that task your full, concerted effort, so you can do your utmost best. Then, do the same with each following task. You may well wonder how monks get by at all, when they are constantly disciplined, focused and effortful. Why don’t they ever feel the need to rant, complain or let loose for a bit? It’s because they don’t have to – they have trained their brains. While meditation seems like a lazy way to spend a day, it’s not. Brain scans done on meditators show that their brains are incredibly active during the process. Meditation is about training the mind, so you are able to calm it down when you need to and to take everything in your stride without getting stressed or upset. Motivation Lesson: If your brain doesn’t naturally like to be motivated, disciplined or focused, then train it to be. If you don’t mind meditating, that’s a good place to start, but you can also use other methods of brain-training. Learning to use your brain effectively is one of the wisest things you can do. It’s good for staying motivated, happy and on track to achieve your goals.